GelliArts 5 x 7 GEL PRINTING PLATE 821959 at Simon Says STAMP! 821959 /8.1 /0246 This item is on reserve until If you would like to reserve this item now, you may purchase it now with the rest of your order. We will hold your order now and ship your entire order as soon as this item is back into stock. If you would like your order to ship now, please place this item on a separate order. Success, GelliArts 5 x 7 GEL PRINTING PLATE 821959 has been shared! Approx. 5 x 7 inches. Joan Bess and Lou Ann Gleason formed Gelli Arts when the two women from very different career paths worked together to turn their amazing idea into a reality. Joan Bess' creative back background equipped with Lou Ann Gleason's well-versed marketing history created a product filled with innovation and excitement. 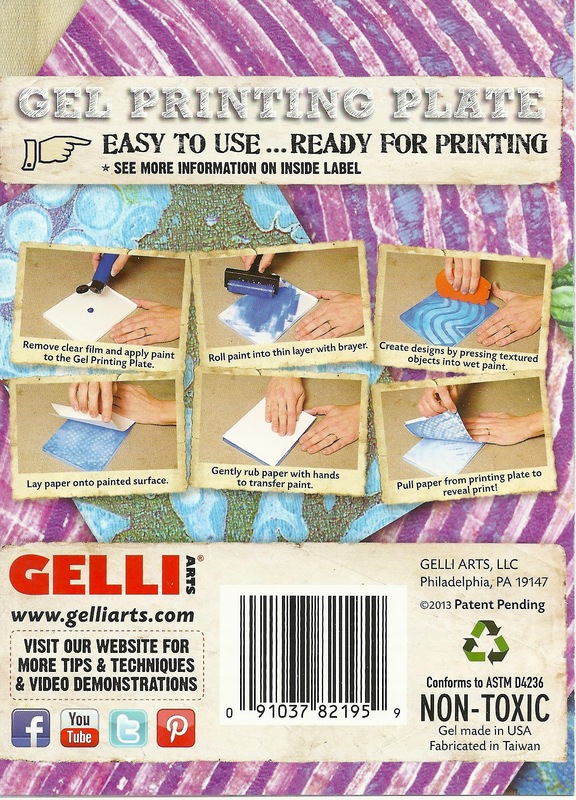 Gelli Arts' products could be the missing piece to your next crafting project!